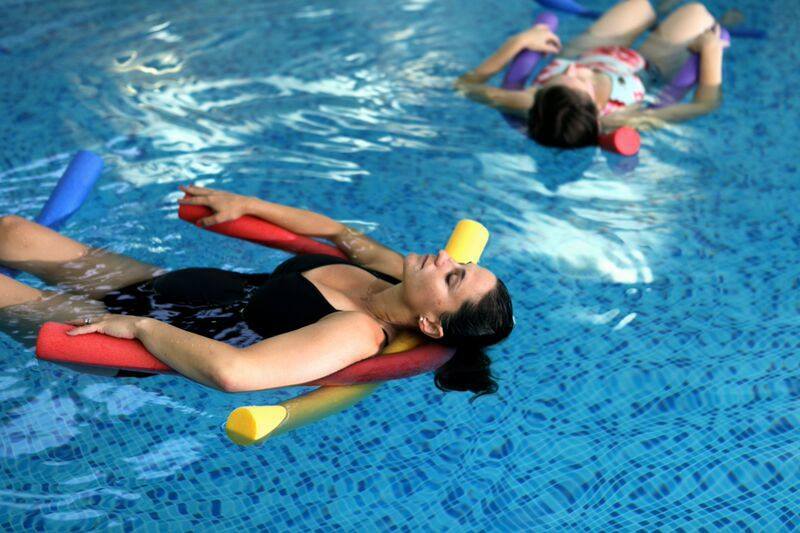 Aqua-natal classes are perfect for mums-to-be as they offer a holistic approach to mental and physical well-being. Combining relaxation with cardio-vascular exercise, these classes provide the perfect physical preparation for labour in the soothing and cool comforts of water. Through the use of gentle exercises, we also introduce mums-to-be to movements in the water which can also be used with the baby after birth. There is an opportunity to relax and understand how the body moves and reacts to water, in preparation for swimming with the new baby when he/she arrives. We promise to pleasantly surprise mums-to-be with the immense benefits they will experience, as well as the fun they will have in the class. – You can also use the exercise techniques to get gently back into shape! It is all quite gentle, however, you get a great workout hence preparing your body for labour. What better way to make some new friends to share your experiences with too? It is possible to join at any point throughout your pregnancy. Our 45 minute classes run on Mondays & Fridays from 7:30pm at the ROKO Health club, Clifton Moor, York. We charge £42 for a 6 week block of lessons. Please call our office on 07825 269146 if you would like to book or have any questions, you can also visit our website www.puddleducks.com/york for more information.